^ "Hans Zimmer". The Hollywood Masters. Season 2. Episode 2. 15 March 2018. Event occurs at 23:00. Netflix. 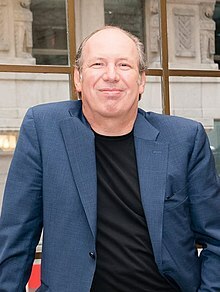 ^ "Hans Zimmer Launches Online Course in Film Scoring". Variety. 18 November 2016. Retrieved 22 February 2018. ^ Dry, Jude. "Hans Zimmer Taking Over as Composer for 'Blade Runner 2049' — Report | IndieWire". www.indiewire.com. Retrieved 17 October 2017. ^ Chamberlin, Alan. "JPL Small-Body Database Browser". ssd.jpl.nasa.gov. Retrieved 1 February 2018. ^ Zimmer, Hans. "awardsdatabase". Retrieved 18 October 2018.